Did the Media Just Buckle from Biotech Industry Pressure? How else to explain the extraordinary, coordinated attack on Chipotle for going GMO-free? Action Alert! After announcing that Chipotle would make the switch to using exclusively non-GMO ingredients in their food, the restaurant chain was slammed hard by major news media outlets. Here’s a sampling of some of the headlines: “Why Chipotle Mexican Grill Going GMO-Free is Terrible News” (Time); “Chipotle’s GMO Gimmick Is Hard to Swallow” (Washington Post); “Why We Can’t Take Chipotle’s GMO Announcement All That Seriously” (NPR). We’ve come to expect a complete and utter lack of balanced reporting and journalistic integrity when it comes to some of the issues the natural health community cares about, but this sort of vindictive screed against a company for simply trying to satisfy its customers strikes us as particularly egregious and appalling. The smear job does have one merit. It brings out into the open what GMO investigators have to deal with every day: constant intimidation and threat. Any scientist who dares take on GMO special interests will be told that his or her career will be ruined, and then ever more intense pressure will follow. Why? Because the biotech and Big Pharma companies involved have huge sums of money at their disposal—money that can make or break university research budgets, and money that is channeled to media advertising, which is keeping traditional media alive. To learn who is really scared—and for good reason—just speak to the scientists and doctors who dare raise questions about GMO safety. After Dr. Mehmet Oz covered the recent classification of glyphosate—the pesticide associated with many GMO crops—as a probable human carcinogen, a group of doctors sent a letter to Columbia University asking for Dr. Oz’s removal as vice chair of the Department of Surgery at Columbia’s medical school. Rather than adding anything meaningful to the debate, the major media outlets are sending a clear message to the restaurant industry: “If you follow in Chipotle’s footsteps, we will make an example of you.” It seems clear to us that such a frontal attack by major news outlets must have been instigated by the biotech industry’s PR departments. Despite the opinions of these media outlets, which are desperately chasing advertising dollars, 93 percent of Americans support labeling GMOs. Companies that respond positively to consumer demand should be applauded, not vilified. In what universe is it “pandering” to provide consumers with what they want? 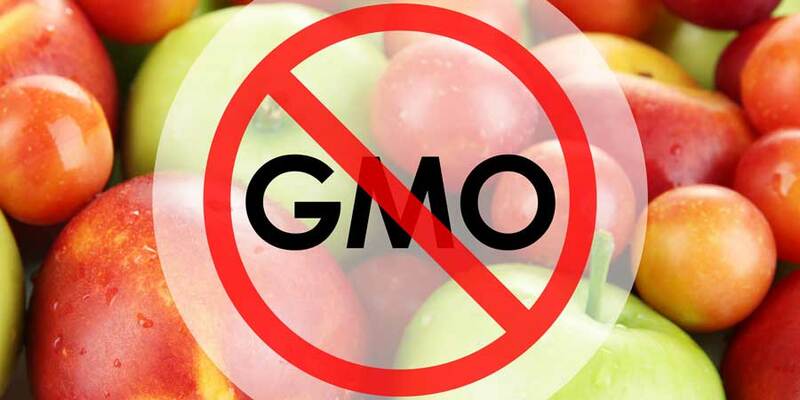 Momentum is building behind the movement to label foods that contain GMOs. Last week, a federal court denied the Grocery Manufacturers Association’s attempt to block Vermont’s recent GMO labeling law. The law is scheduled to go into effect on July 1, 2016. However, the state’s motion to dismiss the GMA’s case was also denied, so the lawsuit against the legislation will likely continue. This decision is crucial because it helps advance the Connecticut and Maine labeling laws, whose language Jonathan Emord of Emord & Associates and ANH-USA provided to legislators. After our language was accepted, trigger clauses were added to both bills, requiring four other states (in Connecticut’s case) and five other states (in Maine’s case) to pass similar bills before the legislation goes into effect. Seeing the writing on the wall, the GMA and other special interests are not sitting still. Just one day after the Vermont decision, Big Food— working under the misleading name of the Coalition for Safe and Affordable Food—sent a letter signed by 370 groups urging members to co-sponsor Rep. Pompeo’s (R-KS) “Safe and Accurate Food Labeling Act.” As we reported a few weeks ago, this bill would make the labeling of foods containing GMOs voluntary and would supersede mandatory labeling laws at the state level. With companies like Chipotle going GMO-free and key advancements in states laws requiring the labeling of GMOs, there are reasons to be optimistic. But advocates and activists must send clear messages: one of encouragement to Chipotle for responding to the preferences of consumers, and one of admonishment to media outlets for caving into industry pressure and viciously attacking Chipotle on this issue. Action Alert! Send a message to Chipotle thanking them for going GMO-free and for responding to the overwhelming desire of consumers to have a choice about the food that they eat. Please send your message today! Action Alert! Send a message to the Washington Post, Time Magazine, and NPR expressing your frustration about their one-sided reporting on this issue, and ask them why they are demonizing a company for positively responding to its consumers. Please send your message immediately!